Everyone must know about Tesla as a car manufacturer. 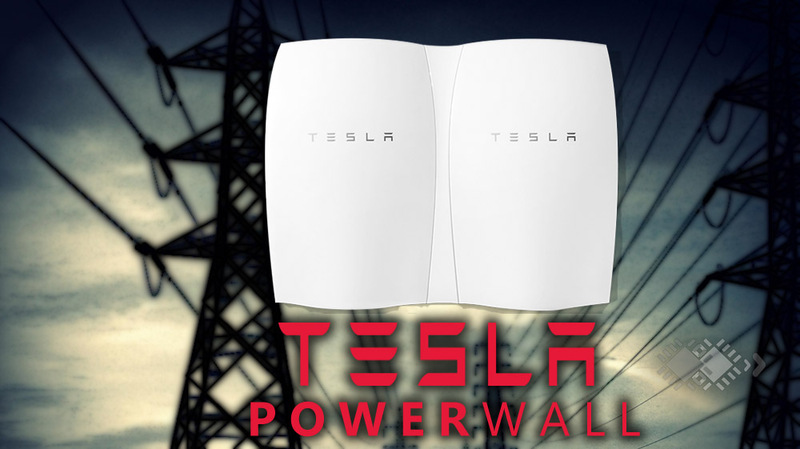 But out of surprises, Tesla has built a smart device, called as “POWERWALL”. It is a high-end rechargeable Lithium-ion (Li-ion) battery which can be used as a backup device. Well, that’s not a surprise. But the source that is used to charge “Powerwall” is something that shouldn’t be missed. The company’s vision behind this new kind of technology is to eradicate our dependency on Power Grids and Solar Power. CEO and founder, Elon Musk had already launched a whole new section called as “Tesla Energy”, whose work is to delight you with some cool energy replacement gadgets. 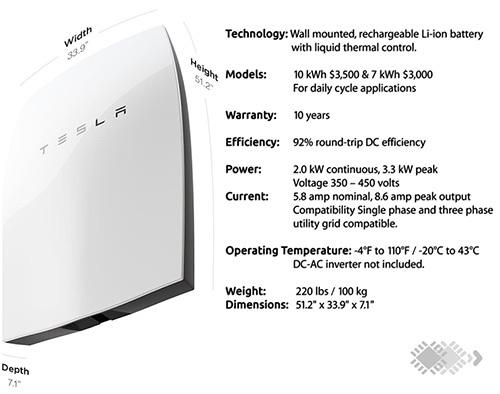 The “Powerwall” is one of a example of such energy replacement appliance. Like the regular rechargeable batteries used at home, they can also be used together. At max, 9 Powerwalls can be stacked together to reliably fulfill the need of power in remote areas or at home. They can power up any cell tower running on diesel in any remote areas, which is a reliable replacement in case of natural calamities. The Powerwall is a great replacement and backup source which is maintenance free and is far better than those heavy and expensive lead batteries which degrade the environment if exposed. The Powerwall charges through solar power but it can also refill using grid power to give its customers a great flexibility. The batteries are smartly designed to refill itself in low-rate period to minimise your energy cost and the solar energy stores the juice for later usage like in nights or in case of power outage, where it can act as a backup companion. Let’s see how useful this can be, as shipping starts this summer lately, but for now the hopes are high. It can be proved a best stand-by option for the urban and remote areas as being maintenance free. These days, the cost of solar panel and batteries are falling, one can mould it as per their need of power consumption. In India, the generated power is not enough to fulfill the need of every one, as being the world’s 2nd largest populated country. So, countries like those rely on these kind of stuffs for efficient as well as quality power-consumption. Hence, Powerwall can be the ultimate savior as it will relieve you from power outages and is a great replacement for those dirty and heavy lead batteries.